Lenovo has given a glimpse of a range of flexible products it’s working on, days after it emerged Samsung could introduce smartphones with bendable screens as early as next year. Launching its latest smartphones at its Tech World conference in San Francisco, the Chinese firm showed off some of its experimental technology, including a foldable smartphone and tablet. 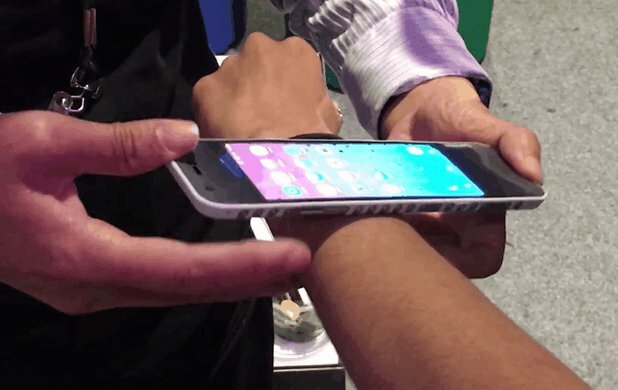 With a flexible display and internal hardware, the smartphone can turn into a wearable device by wrapping it around the wrist. The bendable tablet, meanwhile, can fold in half, making it easier to carry and use. Officially known as the CPlus, Lenovo’s CTO, Peter Hortensius, said the bendy handset would come in two sizes, large and small. It would also have a 4.26-inch flexible display, use the Android operating system and come in 12 different colours. It is still in the development stage and no time frame has been given for its launch. Apple to Launch New MacOS Sierra-powered on October 27th.